After much searching, we managed to find a Quentin Tarantino film that Jena hadn’t see yet! That’s a lie. It didn’t take that much searching at all. 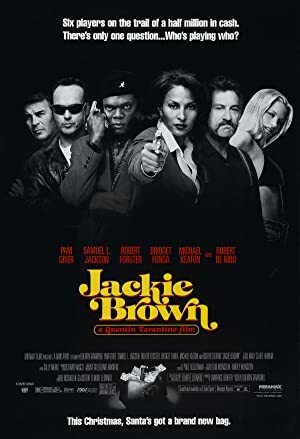 We sat Jena down in front of Jackie Brown so she could enjoy a film that is not quite as obviously a Tarantino film than all of his other films. Following the film, we had an in-depth discussion about Tarantino through the lens of a rather atypical work. We also talked about some of his favorite actors and some of the actors who have enjoyed career revivals as a result of working with him. 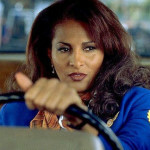 In something of a natural progression, our next podcast will be about Foxy Brown! Plot: A middle-aged woman finds herself in the middle of a huge conflict that will either make her a profit or cost her life. © 2019 A Reel Education.